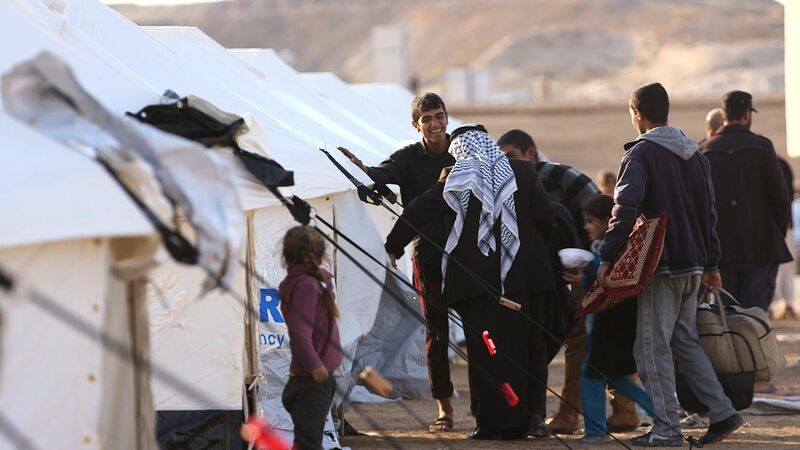 The UN refugee agency has opened a new camp in Hasan Sham near the eastern frontline of Mosul to house newly-displaced Iraqi families fleeing the military offensive. Some 3,000 people arrived at the camp on Friday and 500 tents will be erected each day to house additional arrivals. The camp will be able to house 1,800 families, almost 11,000 people.